There's a myth circulating in Philadelphia these days that families and neighborhoods don't want more public-school choices. A handful of activists with specific agendas use demonstrations, community forums, and City Council and School Reform Commission meetings to spread this myth. But there are a whole lot of people in Philadelphia who are too busy trying to take advantage of their educational options to stage rallies, attend meetings, or get on the phone with a reporter. Last week, I attended freshman orientation night at Central High School, a selective public school that U.S. News & World Report recently named the 10th best high school in the state. The auditorium was overflowing with families who had traveled from all corners of the city. These families had chosen to send their children farther away from home to get them the best education available. The next morning, during my usual commute on the Market-Frankford Line from 30th Street to Independence Mall, I noticed that many of my fellow commuters were students wearing the uniforms of various public charter schools. They were traveling far from their neighborhoods to schools they and their parents chose because they offer something better. I was struck that morning by one mother in particular. She had three girls in tow, two of them elementary-school-age and one too young for school. The two older girls wore blue shirts and khaki pants, and they carried backpacks and lunches that their mother had probably made early that morning. They were investing considerable time and energy in a trek from West Philadelphia to Center City or the Northeast. Why? Because too many neighborhoods in this city lack great schools. I wanted to ask the mother about the specifics of her choice for her children. I wanted to ask what she thought about the SRC's plan to transform the School District and expand the number of great public-school options in Philadelphia. But she was too busy making sure the girls could find seats on the train, tying the littlest one's shoes, and reminding them about this and that. She was too busy taking advantage of her educational options. It reminded me that public opinion can't be judged solely by the loudest voices in a protest or public meeting. Actions have to be counted, too. 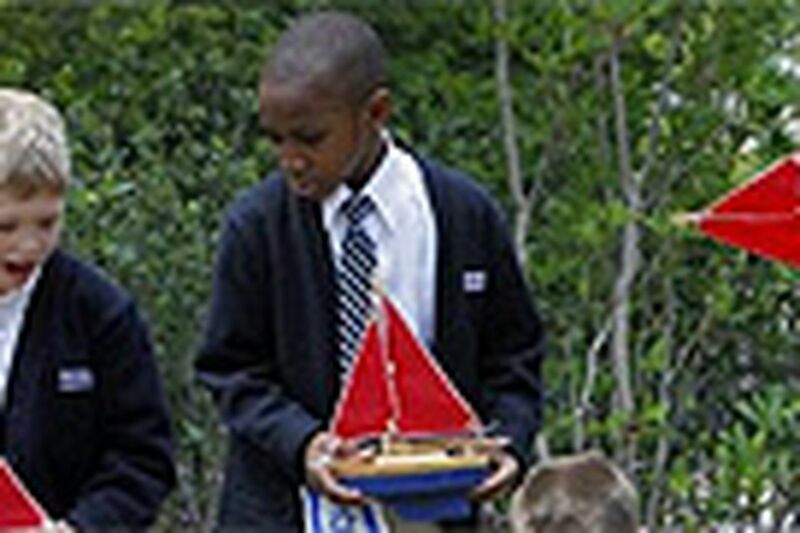 More than 75,000 children are enrolled in public charter schools, Catholic schools, and magnet schools in Philadelphia. How many more have tried but made it only as far as the waiting list? And how many of the activist-critics themselves send their children to charter and magnet schools? Nobody wants a tax increase. Nobody likes budget cuts. And it's only natural to fear dramatic changes to large institutions. But let's remember the mother I saw on the train, and the other students on that train and many others. They deserve more great schools closer to home. If we could ask them if it's important to expand the number of great schools available to them — if it's worth it to give more kids the same opportunities they're seizing — I'm sure they would say it is. Mark Gleason is the executive director of the Philadelphia School Partnership, a nonprofit organization working to create and expand great schools in the city.